Your customer offerings change. Your procurement needs change. Your contracting needs change with them. 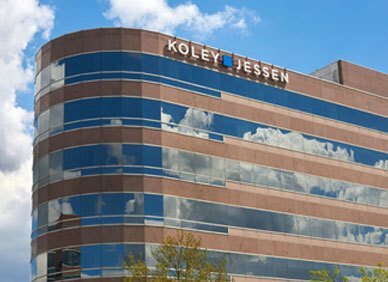 At Koley Jessen, we think commercial contracting is so important that we built an entire practice area to serve our clients’ need for sophisticated drafting, review and negotiation. Our clients need contracts to be turned quickly and thoughtfully in order to grow revenues, manage risk, obtain vital products and services, and protect their intellectual property and business interests. Our team has more than 50 years of combined experience in commercial contracts. Each of these attorneys brings a special expertise to the table, ranging from healthcare, and intellectual property, to real estate and banking, just to name a few. Our depth allows each project to get the right staffing. We are there for whatever particular needs a client may have, whether it is ongoing work in a particular area, assistance only on an as-needed basis, or “crunch-time” services at the end of a month, quarter or fiscal year. Our work is not confined to United States contracts. Our clients enjoy the additional benefit of the relationships we have formed with law firms throughout the world. With their assistance to advise on local law and customs, we draft, negotiate and review the international contracts our clients need. We have been recognized in Best Lawyers on the individual attorney and firm levels as the only “Tier 1” firm in Omaha for our work in Technology Agreements.